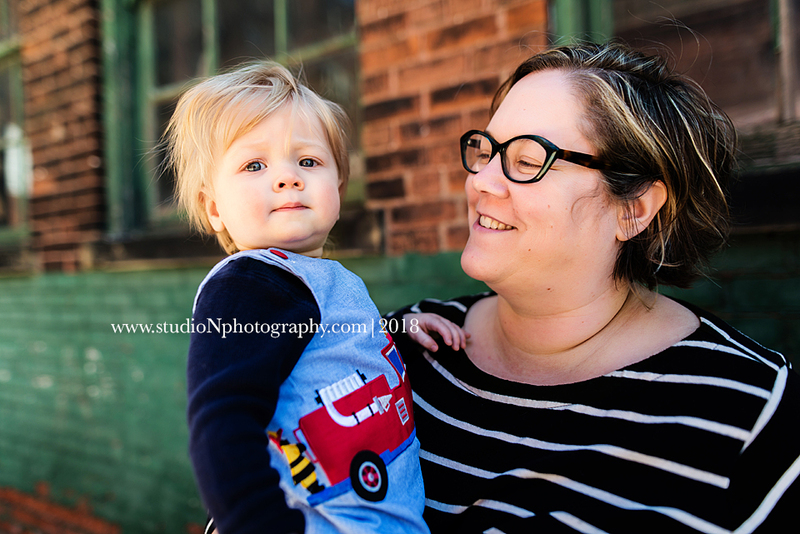 I got to meet this adorable family last year for a Fall session in Spring Grove Cemetery. We played in the leaves and enjoyed the beautiful weather. I was super excited to hear from Mom again when I posted about Spring Mini sessions and that they wanted to schedule some time in front of the camera again! I also loved that rather than wait, they were excited to commemorate a little crash on the playground their little Sadie had a few weeks prior in which lots of stitches were involved! I think it's wonderful to accept our kiddos will fall and bump their faces, or loose a tooth, or even get a cast and commemorate these times in their lives rather than pretend they never happened! Little Miss Sadie was a riot last session and she did not disappoint this go round! Little George was as cute as ever and celebrating his first Birthday! Happy Birthday George! Thanks for coming to play with me again!